I've asked twice now which folder holds data such as the quick access. Twice I've been told import it from browser to browser. So I went from 4.5 to 4.9 which solved some of my other issues, however all the quick access were lost and so were my auto logins. So again, does anyone know which file/folder I need to carry across to copy al of my profile info to the new browser? We all noticed your other threads, but as I mentioned before, this kind of importing may cause some errors. But as you wish, I think your mentioned folders may be in following path as attached. 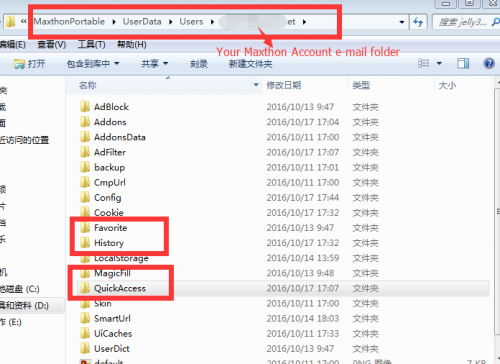 In MX5 beta version or release version, UserData folder could only be created if you DO log in with your account and generate user data. If you haven't user data in this new portable version, User Date will not be created. 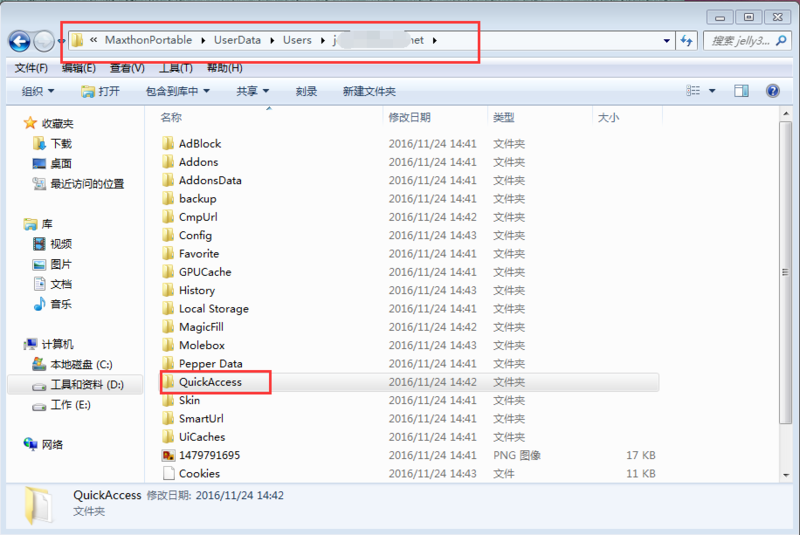 See attached picture for where to see Quick Access folder in MX5 beta. (Mine is v5.0.1.1700beta). Hope it is workable for you. If you haven't started the new portable version then there are no folders. All you need to do is copy the Userdata from your old portable version into the new one. Or you can copy just the UserData\Users\guest folder if want a cleaner update. The QA data is imported correctly between minor version updates, not sure about Major updates. Will test when I get a chance as I don't use QA. There is no automatic import of portable versions because it could be anywhere (although you could just copy the Userdata into %appdata%/Maxthon3 and the importer will find the files). But copying the folder is all that is required and has worked for me for some time. The beauty of portable is that if you keep a backup of your files, if something doesn't work on the import you can just go back to the version you had without an issue till it's resolved and try again later. Yeah I asked about simply moving the folders as this is my preferred way of doing things, but there was resistance to this and I was encouraged to import. Except as said you can't, although the simple addition of a "choose file" would enable the portable import feature. Anyway it's moot as I am not signing in every time simply to use a browser, that's as big brother as it gets and I'm off to find an alternative. although the simple addition of a "choose file" would enable the portable import feature. Yeah, I was thinking the same thing. Although it wouldn't make much of a difference, he same thing will happen. Guest mode as noted above.